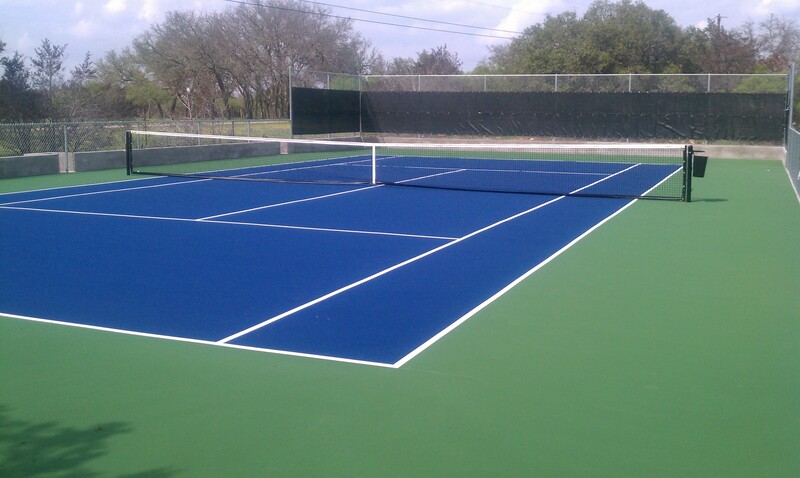 Home - Dobbs Tennis Courts, Inc.
DTC specializes in residential and commercial tennis, pickleball, basketball and sport courts providing construction, resurfacing and equipment with exceptional quality and service for all types of new and older projects. At Dobbs Tennis, we are proud of our record of on-time and within-budget projects. We service all over Texas, and have offices and service crews in both Dallas and Austin, Texas. DTC is a member of the American Sports Builders Association. Our philosophy is that communication, teamwork, and on-site supervision of projects from beginning to end are the keys to our success and your happiness. All projects are carefully planned, scheduled and financially managed in order to complete each one on time and on budget. Our high standards of craftsmanship combined with reliability and integrity, yield a continuous list of satisfied clients. We encourage you to contact any of our past clients regarding Dobbs Tennis Courts.